Enjoy the benefits of advanced cooling technology with FlowSyn Polar Bear™! 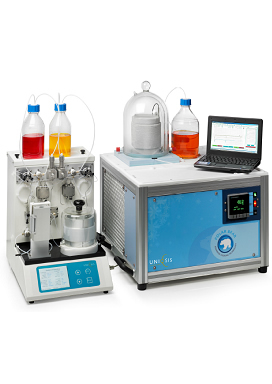 FlowSyn Polar Bear™ is a state-of-the-art chiller unit which, in combination with FlowSyn, allows you to perform and control reactions down to -88°C. FlowSyn Polar Bear™ provides faster and more efficient cooling than conventional chiller units and is ideal for pre-cooling reagents and controlling temperature in highly exothermic reactions. The system is compatible with the FlowSyn range of reactor modules and is designed to prevent ice formation so that you can clearly observe reactions as they occur. Perform large scale continuous experiments down to -88°C.